Are you thinking of traveling on holiday with your kids? 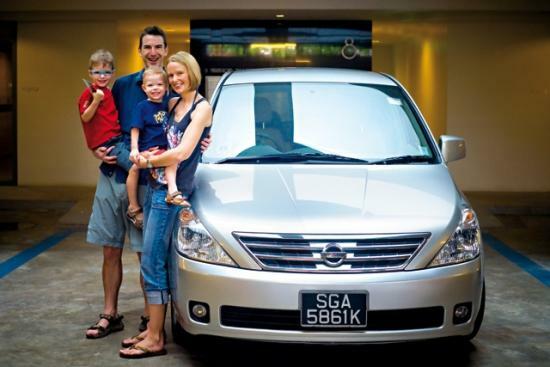 If so, please check this article to see why you need to book car rental in advance before traveling to a different country with your family. Every moment is precious when you are away on a trip with your family, and it is important that you make the most of all of them. A good example of where we often lose a lot of time is in the airport. There are usually a few different car rental desks in big airports, and it can be a hassle going round them all to find someone who speaks English and who can offer you the car you need at a reasonable price. If you and the kids have just come off a long flight, then everyone is bound to be tired and hungry, so the last thing you want is to have to hang around the airport trying to sort out this issue. Instead, you will want to step off your plane, head through the normal customs checks and know exactly where to go to pick up the vehicle which you have pre-booked. This will get your trip off to a great start. Money is another big issue on family holidays, and you certainly won`t want to have a big question mark hanging over the cost of your car rental. This is something which can range in price from an extremely low cost in some countries to rather more expensive in others. It is therefore a big risk for you to head over without knowing how much you are going to have to pay. You should also be able to look for special offers if you book online in advance, instead of having to accept whatever price is quoted to you. The best way to pre-book a car rental these days is to do it calmly while you are sitting at home. This gives you all the time in the world to compare the quotes and see which one suits you best. If you just turn up and ask for a quote on the spot after a long flight then you might get confused by the local currency or make a wrong decision under pressure.We all have made those mistakes when traveling with kids. So you need to get organise and plan you travel itinerary accordingly. So what kind of car do you want for the holiday? If there are a few of you traveling, then you will be looking for enough space, but what other factors need to be taken into account? For a start, you need to think about the road conditions and the cost of fuel in the country you are going to be driving in. These are issues which can be easily investigated, while you are sitting comfortably at home planning everything. You certainly shouldn`t leave it until the last minute and make a snap decision in a busy airport. Of course, if you don`t book in advance, then there may not even be cars available which suit you by the time you arrive. If you want the kids to enjoy a great holiday, then booking your car rental in advance is one of the things you simply can`t afford not to do. Justin Epley is an avid travel blogger. He enjoys sharing tips and insights on various travel blogs.